Jio has always succeeded in bringing massive changes related to data connectivity in India, starting it off with cheap data recharge offers. They even provided complimentary offers including free subscription to various services, thereby increasing the effective value of each offer. 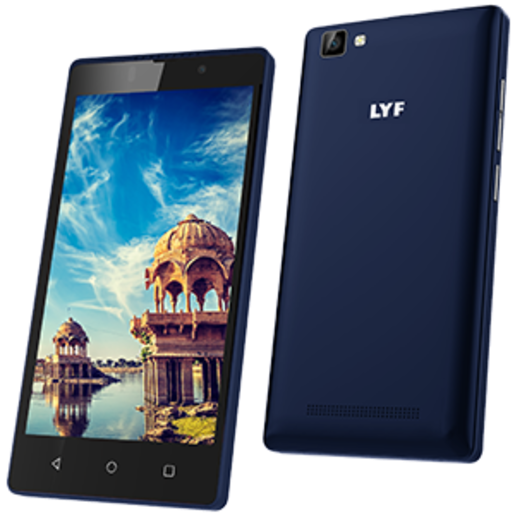 Now Jio has come up with offers that work with two LYF smartphones, effectively reducing its price to under Rs. 2500. Jio will be offering special benefits on two models of its C series LYF smartphones. The smartphones, C459 and C451 are priced at Rs. 4699 and Rs. 4999 respectively. The new Jio benefits have a total value of Rs. 2307, thus bringing down the effective costs to Rs. 2392 and Rs. 2692. First recharge of Rs 399 which provides 1 GB/day data for 84 days and unlimited calls and SMS. Additional 5GB/month worth Rs. 201 for next 9 months - a total value of Rs. 1809. The total value of the entire package is Rs. 2307, which means the effective costs for C459 and C451 will be Rs. 2392 and Rs. 2692 respectively. This makes them the most affordable VoLTE enabled smartphones. The offer is valid only till October 22, 2017. Both the smartphones have pretty basic set of features. The IPS LCD display measures 4.5 inches diagonally, with a resolution of 480x854. Powered by a 1.3 GHz quad core Snapdragon processor, the smartphones come with 8 GB internal storage, which can be expanded by up to 128 GB, and 1 GB RAM. The rear camera is a 5 MP one with Auto Focus, while the selfie camera has a 2 MP sensor. The only noticeable difference is in the battery capacity, the C459 has a 2000 mAh battery while the C451 has a 2800 mAh one. Both the phones will be running Android Marshmallow 6.0.1 out of the box.